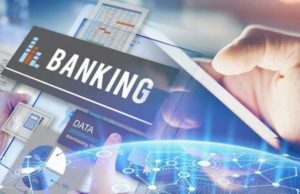 In Europe, open banking is closely associated with a specific European Commission regulation called the Payment Services Directive, known in its most recent incarnation as PSD2, which took effect in at the beginning of 2018. Under PSD2, bank customers may authorize third parties to securely access and process their bank funds. Banks are complying with PSD2 through the use of open application programming interfaces, or APIs, which allow different software components to exchange information. And while the U.S. for now has no comparable policy, U.S. banks are investing heavily in APIs as the core of the open banking concept, which at its broadest envisions a world where every consumer can easily access his or her financial data and authorize access to anyone else. Secure APIs are the preferred alternative to a technique known as “screen scraping”—in which customers hand over their own account credentials to a third party, which stores those credentials to access the customer’s bank account. But this poses some risk for a customer—such as uncertain liability under Regulation E for unauthorized transactions made by a third party that has the login information. For example, Wells Fargo has developed APIs that allow customers to securely share information with companies like Intuit (whose products include QuickBooks, Mint and TurboTax), Finicity and Xero. 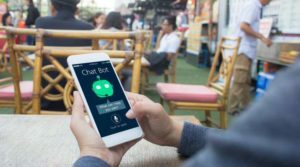 This way, “customers don’t have to use the screen scraping approach,” says Ben Soccorsy, SVP for virtual channels at Wells Fargo. “We’ve always advised customers not to share their credentials.” Other large banks like Chase and Capital One have been launching API partnerships with financial data aggregators and fintech companies to help their customers access a broader set of financial products without using screen scraping. “Open banking is more about the business model and less about a particular product or architecture,” adds Prema Varadhan, chief product architect at Temenos, which recently rolled out a new front office suite that streamlines the ways banks develop and offer retail, commercial and wealth management products across all core platforms. No matter what business model a bank chooses, Varadhan points out, its architecture will need to have open APIs, security standards, scalability and real-time information.